Brisk and Noisey teamed up to highlight what’s brewing (iced tea pun) in major cities across the US on the Brisk Bodega tour. 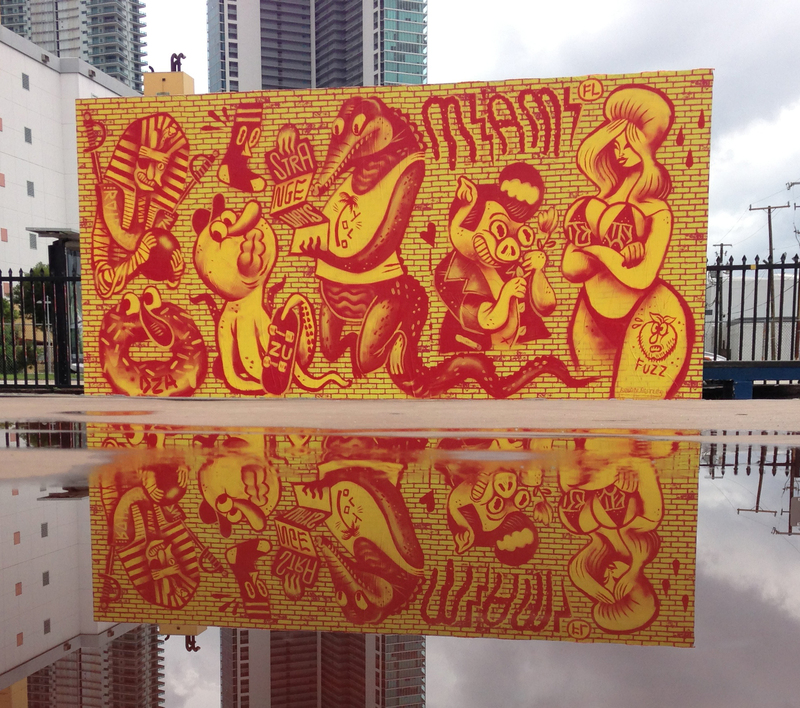 I got mixed into the Miami date with this 8′ x 16′ mural. Every character is a shout to someone on the Miami event roster. 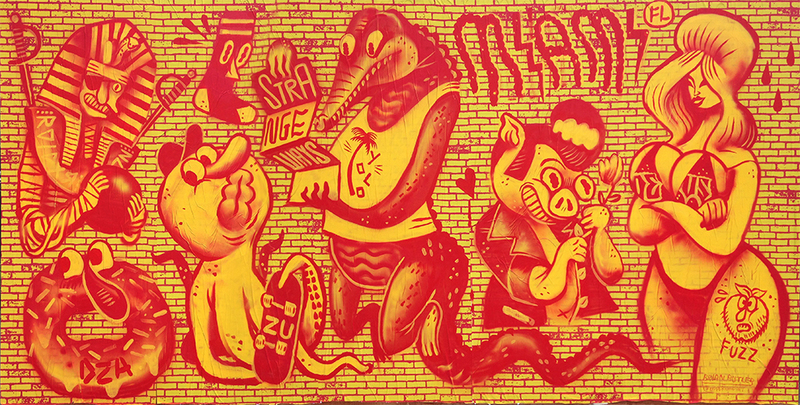 From left to right you have, Raider Klan (top), DZA (bottom), personal Boston shout (top), Metro Zu (bottom), Strange Ways zine held by an everglades gator, Slow Roast Records piggy, and Big Booty South Beach chick with a Mike Duece bikini, and a Peachfuzz tattoo.